Every other Friday we have a special assembly with parents/carers to celebrate pupils who have been chosen by their teachers to receive a certificate for outstanding learning. In this assembly the class teacher of the children receiving the awards informs all the pupils and the parents/carers the reasons they have been chosen and their achievements. 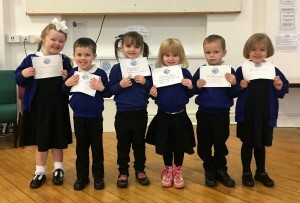 During these assemblies an attendance award is given to the class with the highest weekly attendance and pupils are recognised for any out of school or club achievements. Twice a year teachers in each year group are asked to nominate a pupil who has shown outstanding achievement either in their learning, through an extra-curricular activity or in the local community. The pupils are awarded with a medal in a special Pride of OSPA assembly with parents/carers who are then invited to a special tea and cake reception with the Senior Leadership Team. 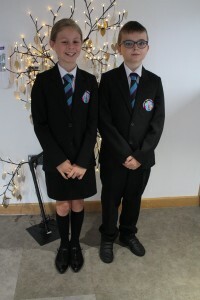 Pupils who have achieved 100% attendance all term receive a certificate in a special attendance assembly and those who have had a 100% attendance record all year are awarded with a medal and their name is written onto a golden leaf and hung on our beautiful 100% attendance tree.